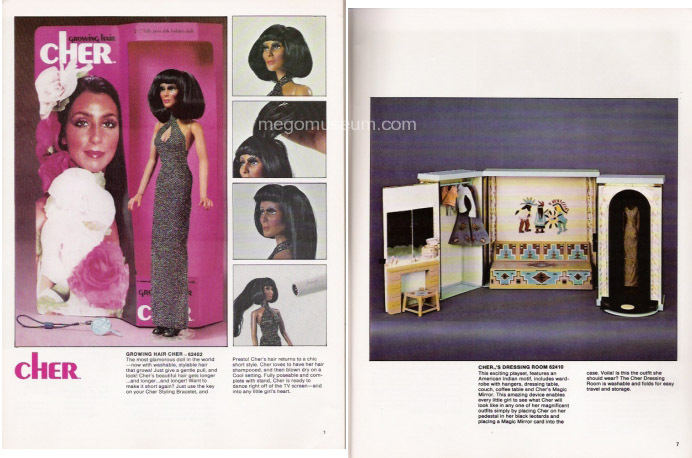 1977 was all about Cher! 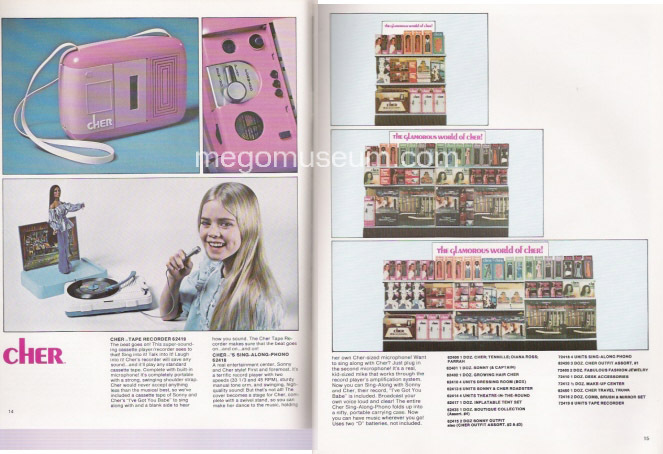 Cashing in on the success of the first release Mego fought hard to milk the license for all it's worth. Take a look at the store planograms to see how much market share they were looking for. 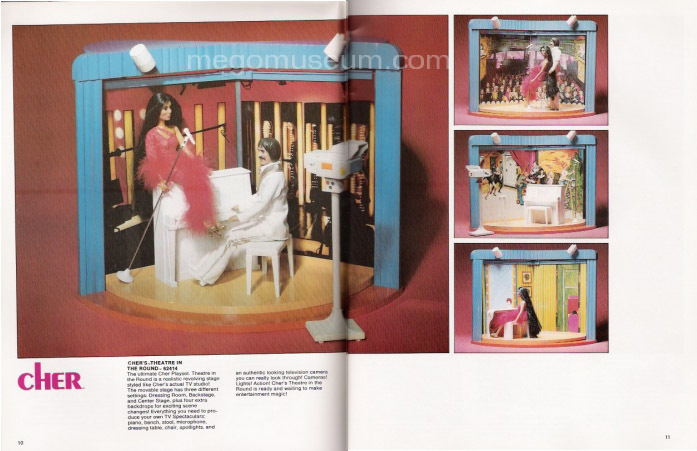 Items such as "Cher's Desk Set" were proposed and some of the many items pictured here were later reused. 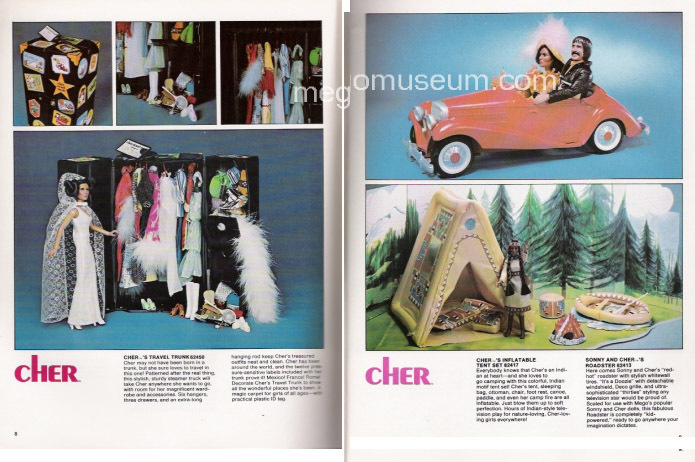 The camping set was pitched unsuccessfully as the "Kiss Kamping Set" Cher's Roadster is believed to be from the ill fated Doc Savage line and Cher's dressing room later became Farrah's.